These pages will help you learn about the features available in CLion, a cross-platform C/C++ IDE. Visit the Docs & Demos section and CLion Online Help for more learning resources, and download the product to try it in action. 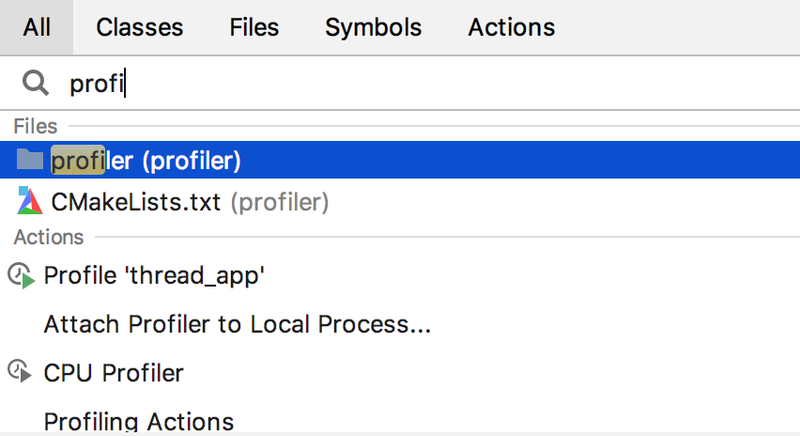 It’s surprisingly easy to start a new project in CLion, and files can be added to the project in one click. CLion works with CMake, Gradle and compilation database project models. If you use a different type of project, the IDE will help you import to CMake. CLion is more than just an editor as it offers a powerful debugger and dynamic analysis tools to investigate and solve problems with ease, built-in Google Test, Boost.Test and Catch for unit testing, many popular VCS supported out of the box and more. Build, Run and Debug your application and unit tests locally or remotely in CLion. Use the debugger UI with GDB or LLDB as a backend. Use Valgrind Memcheck and Google Sanitizers integration to detect memory errors, data races and undefined behaviour issues. Analyze the performance of your application with the CPU Profiler integration. CMake is a famous cross-platform build system, widely used for C and C++ projects. Benefit from the CLion’s smart CMake support with code generation, completion and automatic target updates. CLion supports the Google Test, Boost.Test and Catch frameworks and provides a built-in test runner together with a powerful UI to investigate test results. It can even generate code for you as you write tests (for Google Test). Access the command line through the built-in terminal, switch on Vim-emulation mode together with the Vim key bindings, or expand the IDE’s functionality with other various plugins.